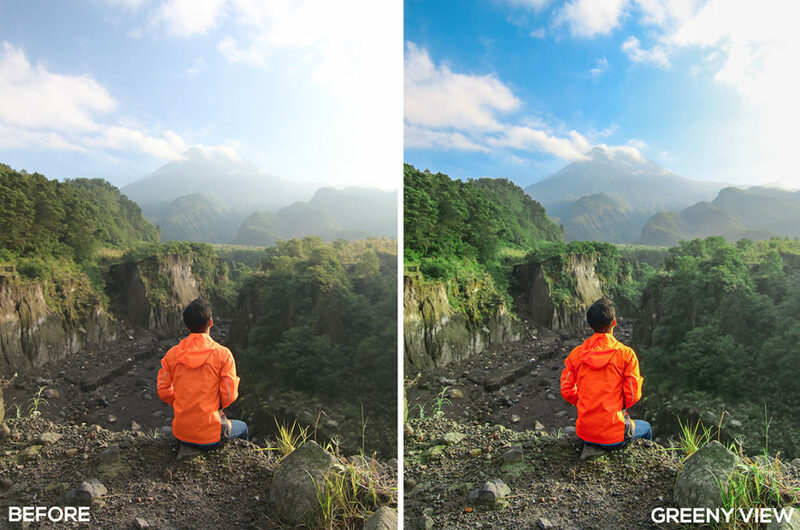 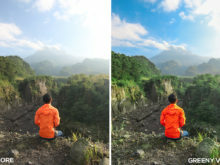 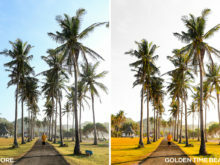 Created by Indonesian lifestyle photographer, Samuel Silitonga Jr. 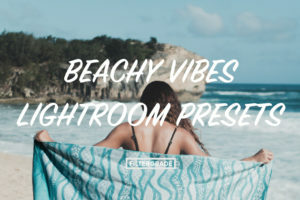 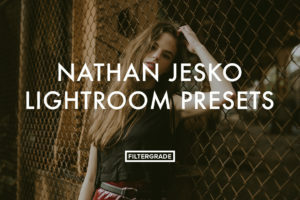 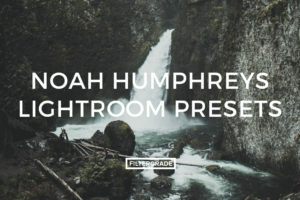 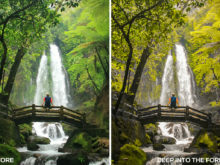 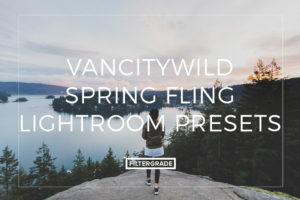 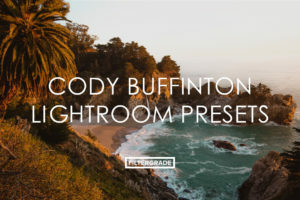 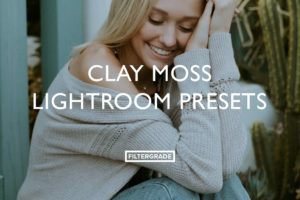 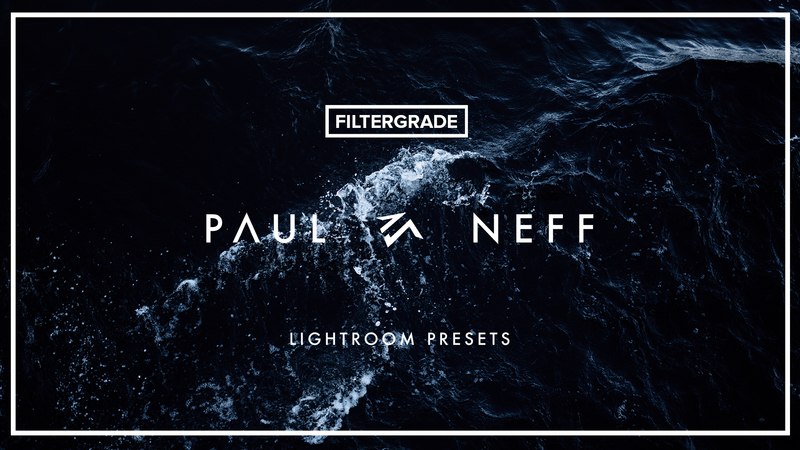 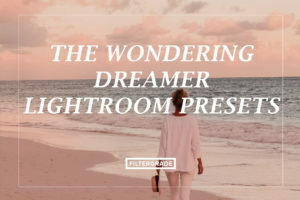 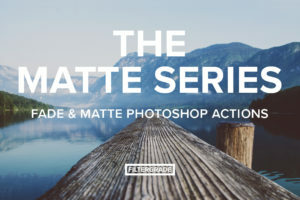 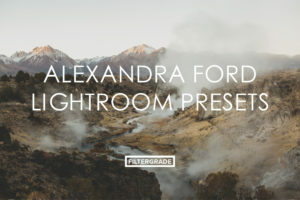 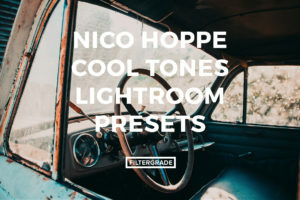 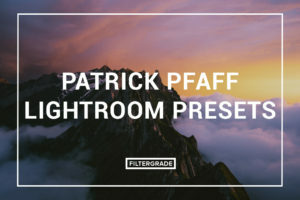 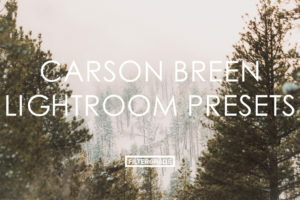 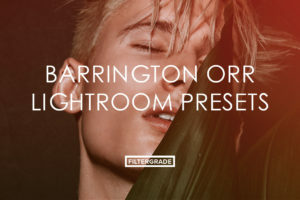 These Lightroom Presets will help you add beautiful effects, bright colors, and natural tones to your photos. 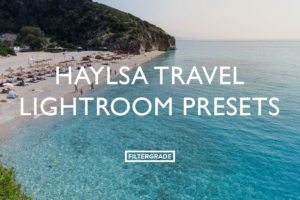 Made for travel, lifestyle, and aerial photography. 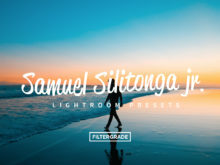 Sam’s experience with photography has helped him to create these awesome effects for you to use and will be sure to help you with all of your tropical edits! 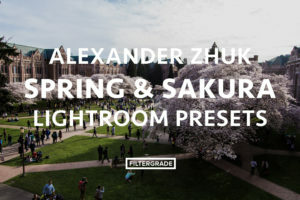 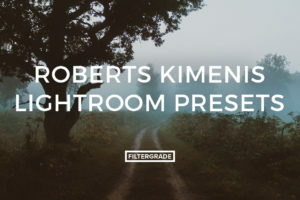 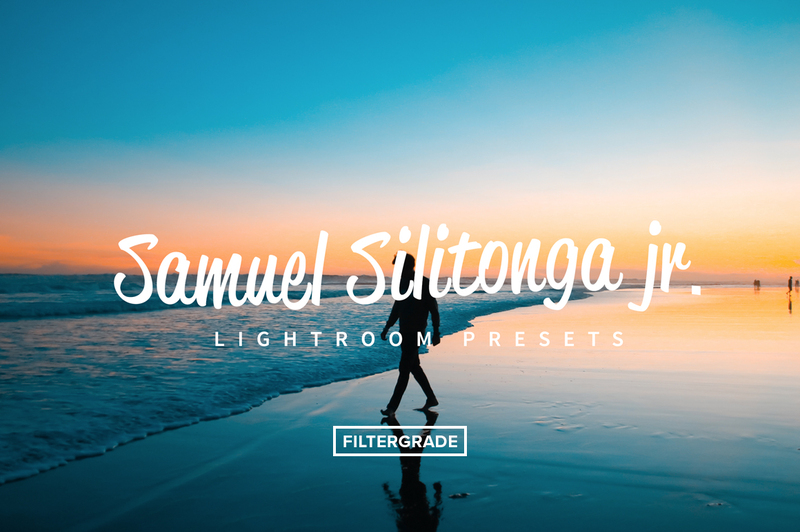 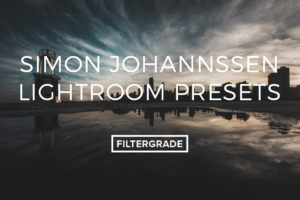 Add bright colors and vibrant tones to your photos with these beautiful presets from Samuel Silitonga Jr.
Golden Time | My first preset that I love. 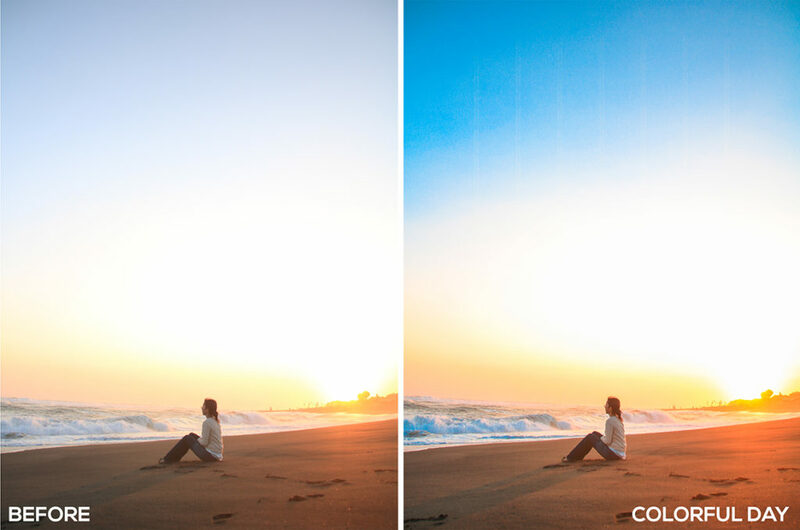 Can work very well when you are shooting in sunset or sunrise conditions. 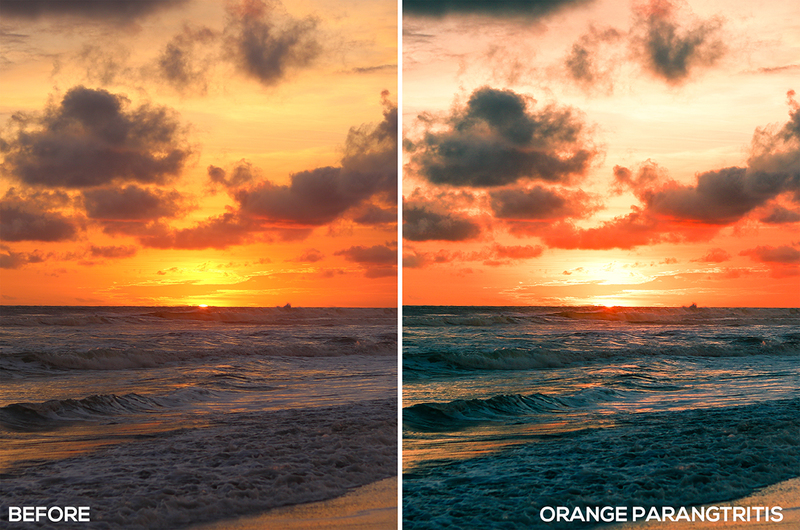 Orange Parangtritis | If you find a good sunset, this preset is very useful for creating vibrant looks to boost orange tones. 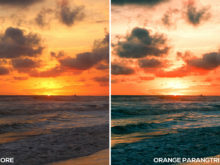 I gave its name ‘Orange Parangtritis’ which is by the beautiful beach, Parangtritis, in Jogja, Indonesia. 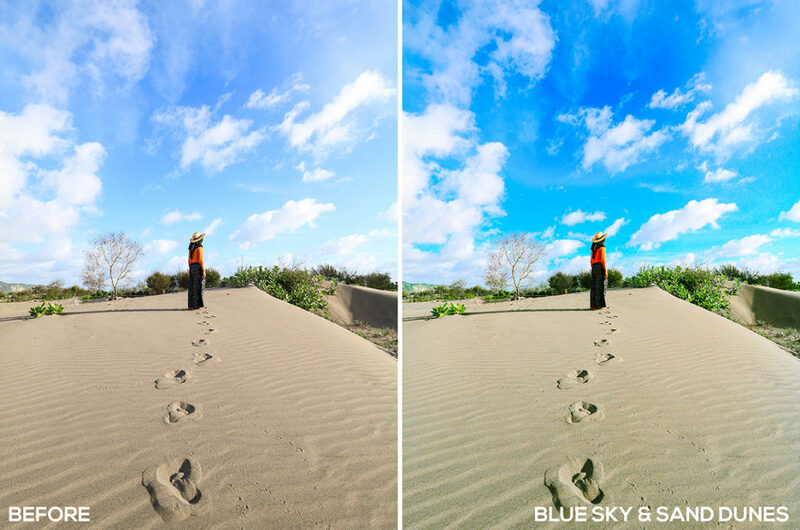 Blue Sky and Sand Dunes | When the sky looks bright it will greatly support this preset. 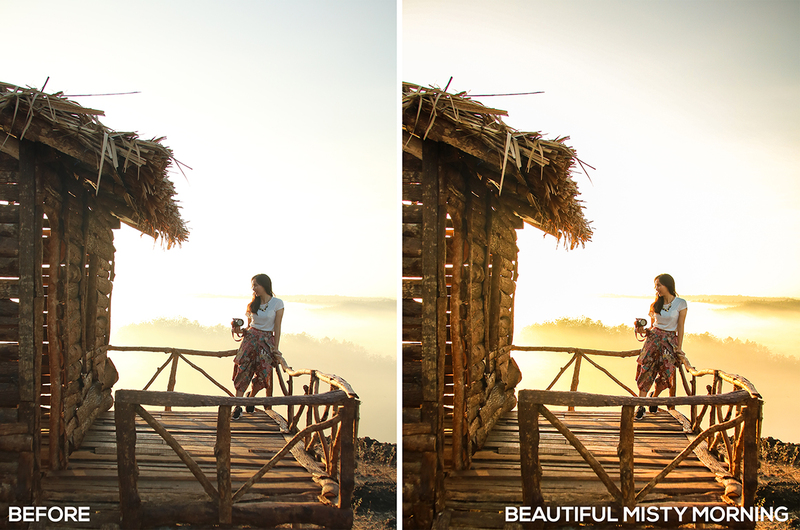 Beautiful Misty Morning | Let’s welcome your sunny morning and get beautiful photos then use this preset. 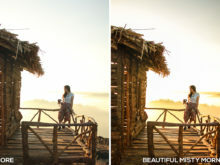 Your photograph will look so beautiful. 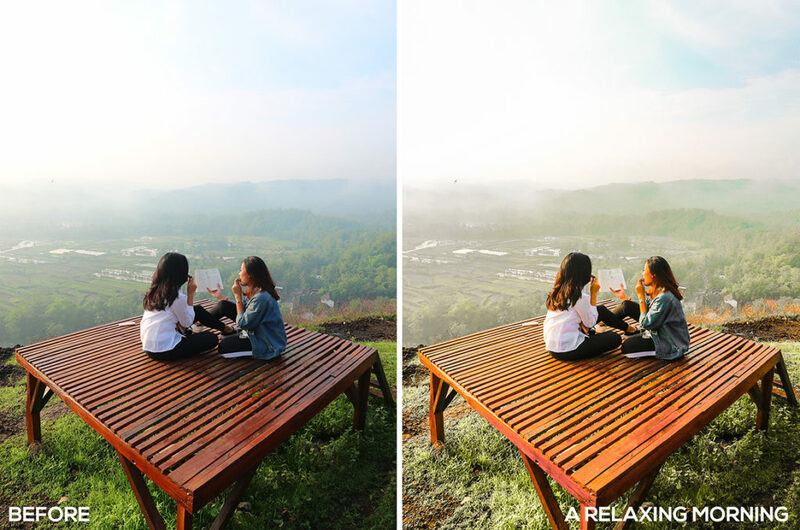 A Relaxing Morning | Use this preset to make your photos look misty and still retain the green color of your photography. 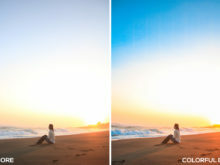 Colorful Day | Very useful when you see the sunset is bright. 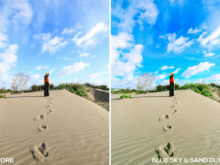 The color of the blue sky and orange sunset will be very visible. 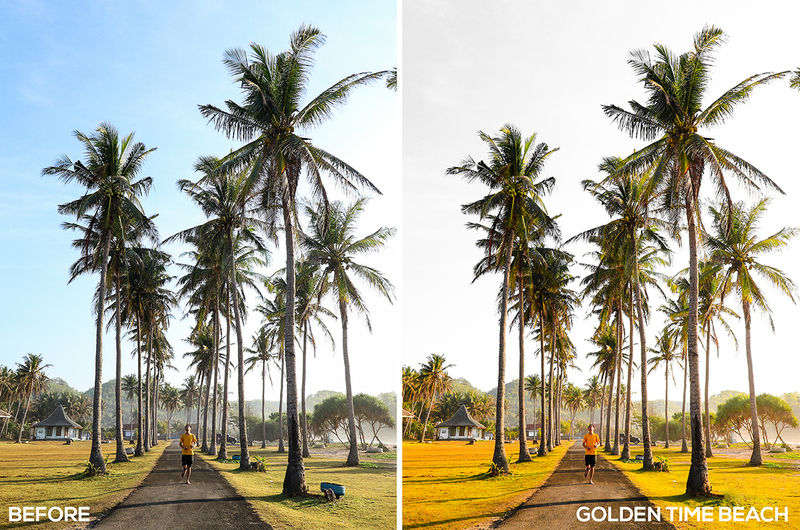 Yellow Beach | Enjoying the sunset on the Beach is also very exciting if the atmosphere can turn into yellow like this. 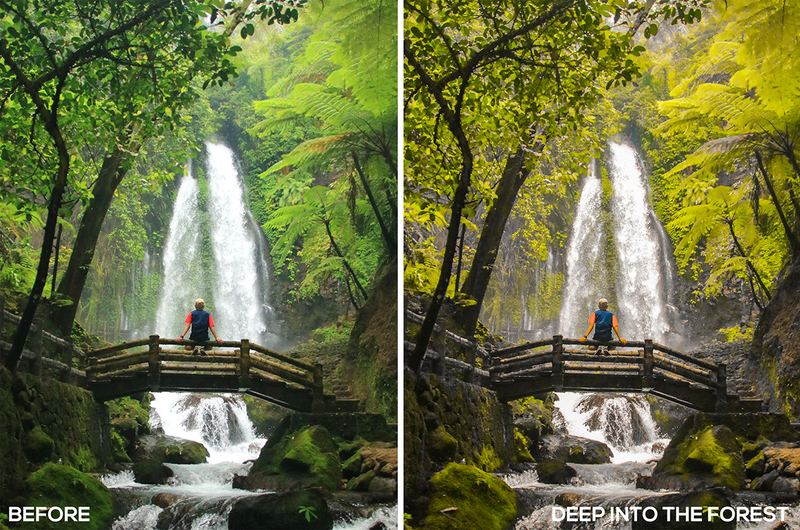 Deep Into The Forest | Let’s find a waterfall hidden in the forest and feel such a beautiful atmosphere. 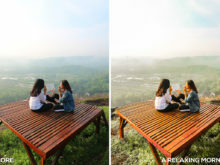 Hill Scenery | This preset can run well when the sun rises. 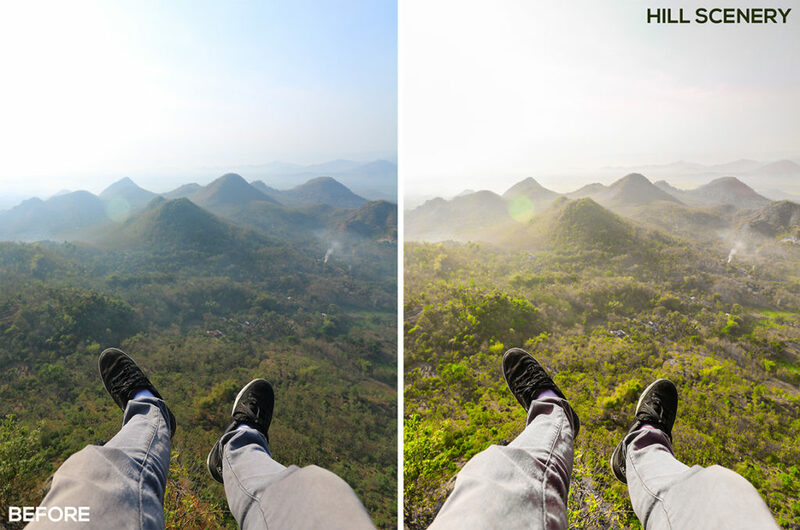 Will greatly highlight the green color. 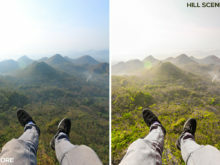 Greeny View | Will change the boring green color will look much more colorful and clear.